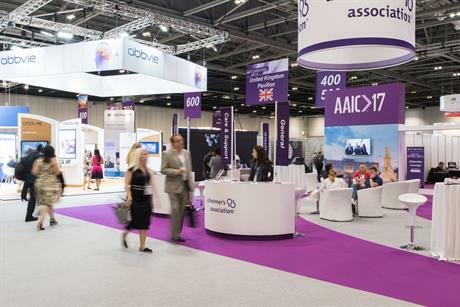 The Alzheimer's Association held its annual research conference at ExCeL London from 16-20 July, organised by TFI and Lodestar. The conference welcomed more than 5,600 attendees from 68 different countries, the largest attendance to date. What do you think of C&IT's content? Let us know here with a chance to WIN an overnight stay for two at Cliveden House. The five-day scientific programme included 5 plenary sessions, 8 symposia, 59 oral sessions, 26 featured research sessions, 5 focused topic sessions and more than 2,100 poster presentations. 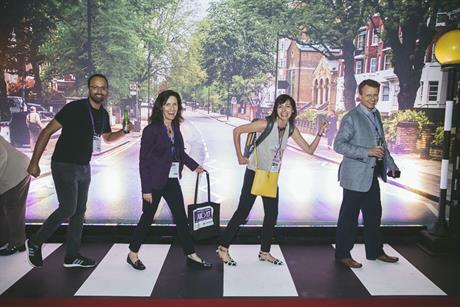 On the opening day of the conference, the Alzheimer’s Association and ExCeL played host to a London themed reception. TFI Group, together with Lodestar, transformed ExCeL's event halls into an interactive, immersive London experience, with areas including Covent Garden, Carnaby Street, Big Ben and Downing Street. Entertainers such as palace guards, street performers and a Queen impersonator brought the experience to life, alongside double-decker buses and iconic black cabs. The event also saw the lighting up of the Coca-Cola London Eye. All 6,000 LED lights were switched to purple, the colour of the Alzheimer’s Association, to celebrate the conference taking place in the city and to raise awareness of the challenges brought by the disease. Darren Mendola, senior director, conference services at the Alzheimer's Association, said: "We are grateful to the ExCel and the City of London for serving as fantastic hosts for an extremely successful conference. We were thrilled to see such an incredible attendance, and know that the new research shared will have a lasting impact around the globe." Phil Watton director at TFI Group, added: "We were delighted to play our part in making the 2017 event such a success. 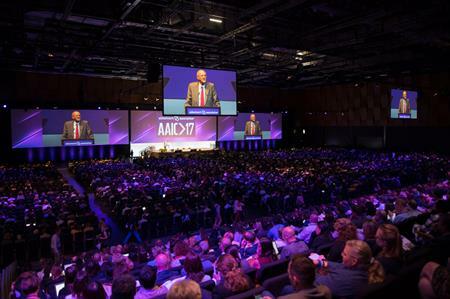 AAIC is a world class, mass scale event that sets a challenge for any agency. I'm proud of the great work our logistics and creative teams put in to ensure the delegate experience in London will set a benchmark for future events."